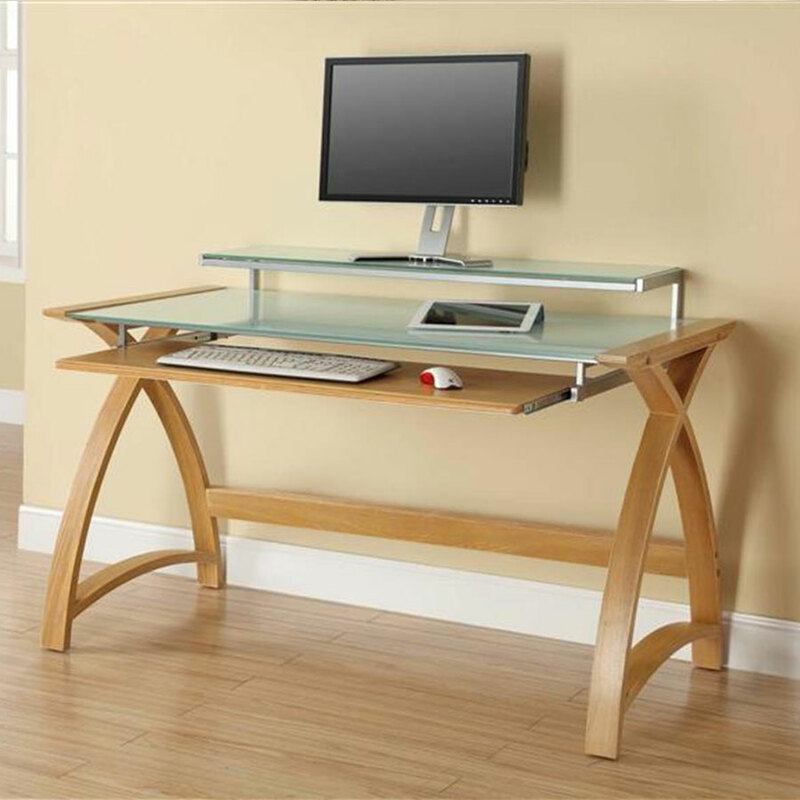 The Wooden Furniture Store are delighted announce the introduction of another new collection to add to our popular home office category, the Curve Home Office range by Jual Furniture. Make your home office an essential room for the 21st century and your working day a pleasure, with this stylish new range. Whether you’re looking for a perfectly proportioned laptop table, a cleverly designed desk or essential office storage, the Curve Home office collection will suit all your home office needs. The range comes in a choice of either walnut or oak veneer and it’s curved design is complimented with glass and chrome detailing which adds a touch of individuality to each piece. Here’s the pick of our favourite pieces from this exciting new collection. We think that this cleverly designed walnut pedestal desk is the highlight of the collection and would be a stunning addition to any home office. 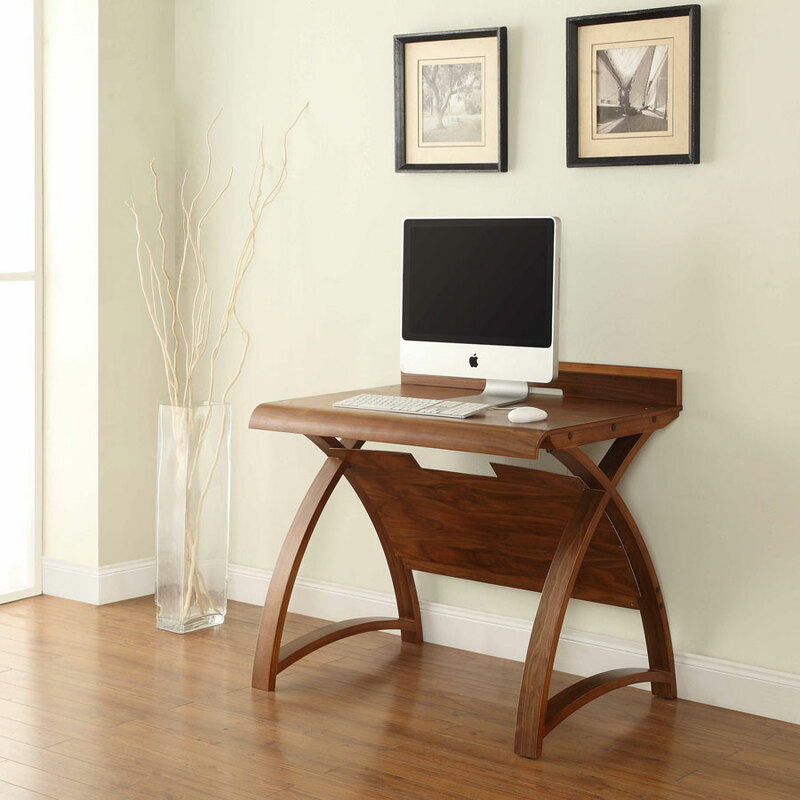 The desk has a contemporary rich walnut finish and a beautiful curved shape. It boast an impressive 130cm working surface and comes with three useful stationary storage drawers which are finished with steel knobs. The desk has a neat concealed pop up socket which includes two UK sockets and 2 USB ports – perfect for charging your laptop and phone while you work. The Curve Home Office Large Oak Desk offers a practical solution and with its sleek outline and shapely line, is the perfect focal point for any working space. 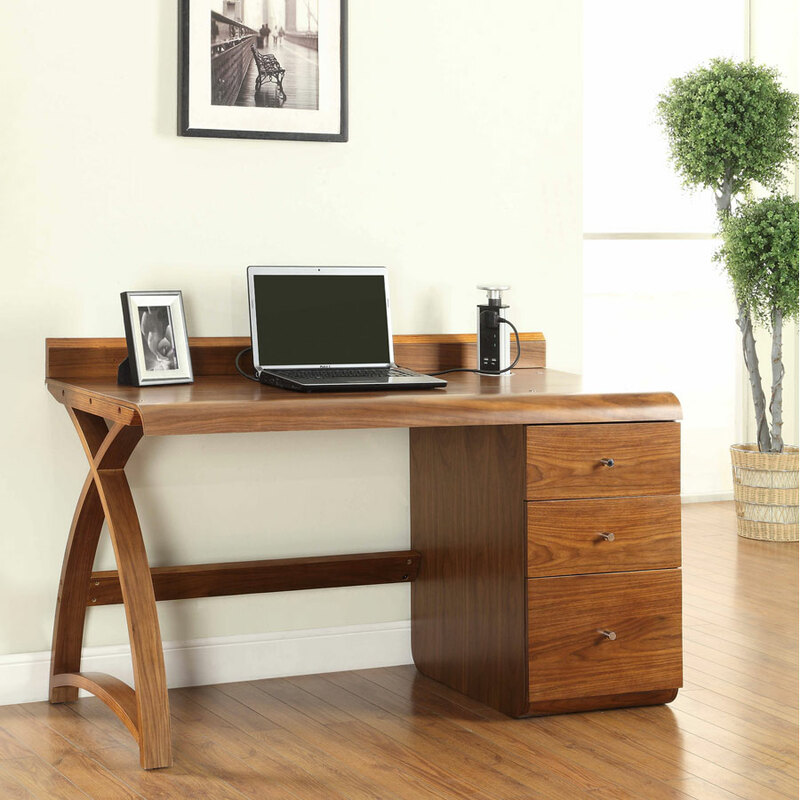 The desk is manufactured from curved oak veneer and has three separate areas to boost your available working space. The computer monitor shelf and the main middle shelf are made from opaque glass plus there is a separate sliding keyboard tray. The desk is produced in a 130cm and 90cm size and is also available in a walnut veneer and glossy black glass version. Ideal for the smaller home office, the simple and stylish Curve Walnut Table is a contemporary design with elegant, curved legs. The desk perfect for creating a clean minimal look and is also available in a larger 130cm size. The Curve bookcase has been designed to coordinate with all the desks in the Curve Home office range and comes in a choice of oak or walnut veneer. 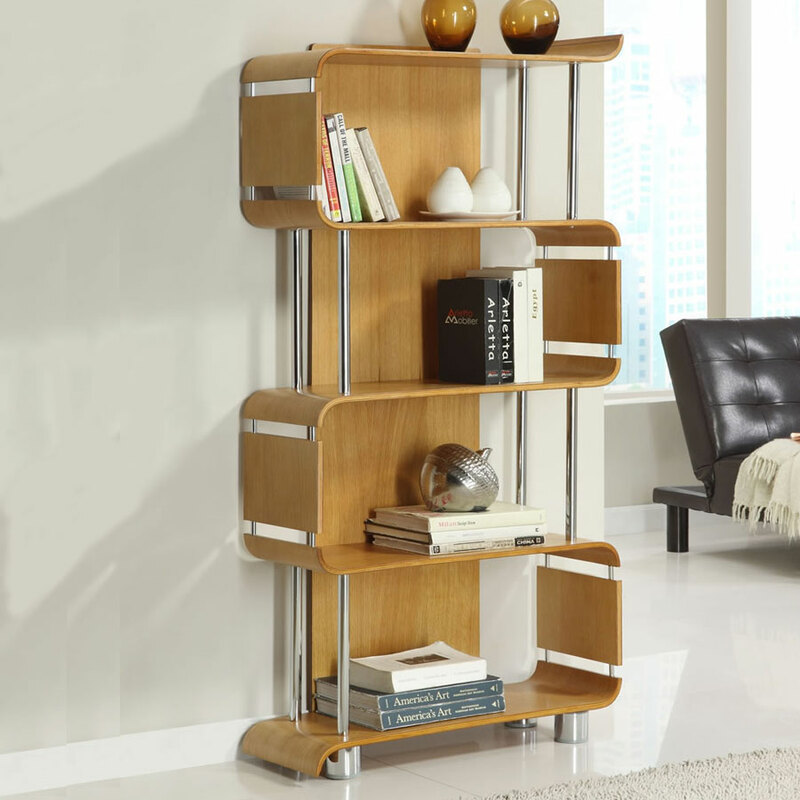 The bookshelf has four fixed shelves and stands on thick chrome feet which complement the tubing and side panel detailing. In any home office it’s important to invest in an ergonomically designed chair that is adjustable, so that you can find a position that’s comfortable for you. 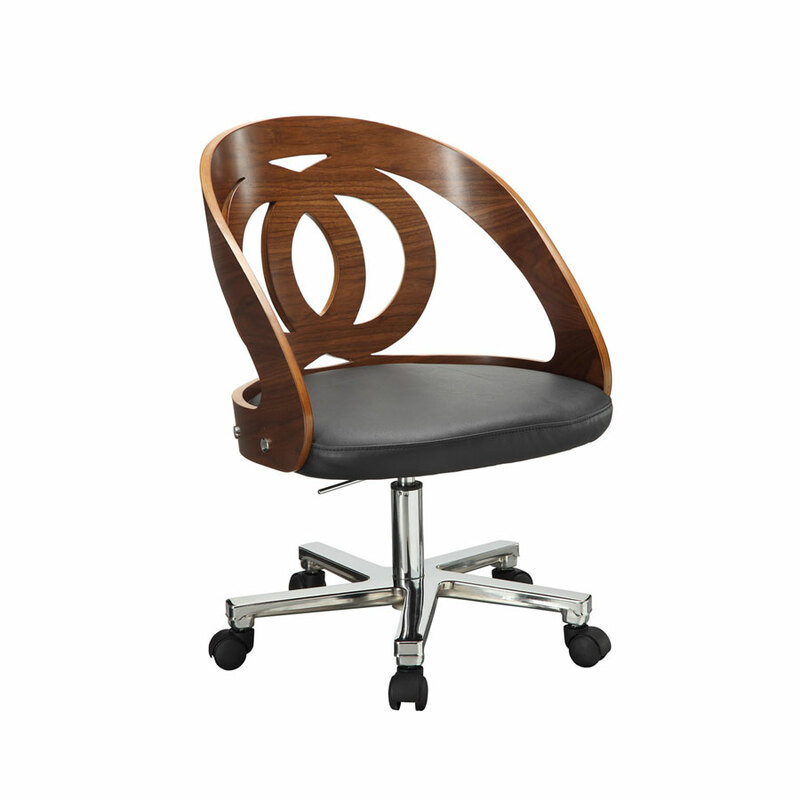 The Curve Home Office Walnut chair has a 10cm adjustable gas lift and combines faux leather, curved veneers and polished chrome. The chair is also available in an oak colourway. Invest in some purpose built home office storage, like this Curve Oak 3 drawer filing cabinet, to keep all your paperwork and stationary organised. The cabinet is available in a choice of walnut or oak veneers and would fit perfectly into any contemporary home office scheme. 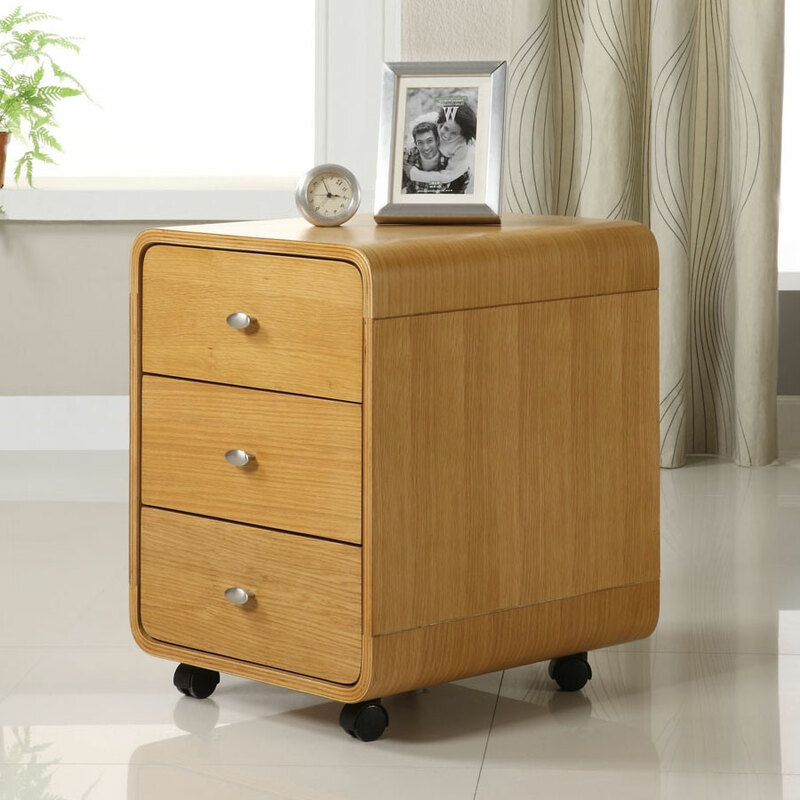 It’s beautifully finished with brushed steel drawer knobs and lockable, heavy duty castors and has been designed to complement the desks in the Curve Home Office range. Please note that all products from our new range require assembly (full instructions are provided) and are delivered via a two day express service. We hope that you agree that our new Curve Home Office range by Jual Furniture would make you #houseproud. This is just our pick of a few items from the collection to see our entire home office range, click here. If you found this interesting, why not check out our blog about how to create the perfect home office?